For most countries in Latin America Simon Bolivar is not only representing freedom from the colonial past, but also the national idea that in different countries has overcome an excellent, complex and long path of development and formation. Another important fact is that S. Bolivar was a Creole, and the liberation movement was initiated by the followers of the Spaniards. It was then picked up all over the continent and evolved over time to be used by the local population. This process was the most clearly manifested in Venezuela in form of the Bolivarianism of the 21st century, the undisputed nurser of which was Hugo Rafael Chavez Frias. It is this ideology that served as the foundation for the cohesion of the Venezuelan people first, and then the rest countries of the region, setting off a unique phenomenon of the 21st century that will go down in history as the “right-to-left drift.” Of course, the goals and objectives of S. Bolivar could hardly be called socialist ones, but the history and peoples of many countries in Latin America have made this very choice. After the timeless quietus of Hugo Chavez, the Venezuelans reaffirmed their commitment to the Bolivarian way of development of their country by electing N. Maduro as the President. Only time will show whether the political and ideological heir of Hugo Chavez is able to fully pursue the intended course. However, by far, S. Bolivar will remain the most significant and respected figure in the history of the continent. Now almost everything in Venezuela is bearing the name of Simon Bolivar: from the state currency to office buildings in the centre of the capital. His bust has been installed on the highest peak of the country (5,000 meters high) - the Pico Bolivar. Climbers once conquering the mountain set out to build a monument to their hero as high as possible, and they succeeded - the bust has become the most ‘high-mountain’ Bolivar in the world. The central squares of every, even the tiniest, Venezuelan cities and towns are named in honour of Simon Bolivar, and they necessarily have a monument to him. Every souvenir shop will offer you a variety of products with the profile of the national hero. Over his 47-year challenging walk of life, Bolivar has earned honouring by Latinos for centuries. Thanks to his energy and aspirations, modern Venezuela, Colombia, Ecuador, Peru, and Bolivia have been given independence from Spanish supremacy ruling there in the early 19th century. Leading the liberation movement, Simon Bolivar said: “I will do my very utmost for America!” and he did what many cannot even imagine. So what was this hero of many peoples in deed and not in name? Bolivar had a tough time since his childhood. He was born in Caracas in 1783 to an aristocratic family, who owned plantations with hundreds of field-men. Back in the 16th century, his ancestors - Basques - moved from Spain to Venezuela, which became a Spanish colony. At age 10, Simon became an orphan and he was taken care of by a guardian - Simon Rodriguez, his educator and friend. It was he who planted the grain of aversion to tyranny in the future hero-liberator and told him about the responsibility of those in power for society as a whole. By the age of 19, Bolivar got married. It seemed that he had only happy family life before him, but the young wife soon died of dengue fever. After this loss and a brief military training at the academy in Caracas, he went to Europe for new knowledge. Once in the revolutionary France, Bolivar saw first-hand how Bonaparte became Emperor Napoleon I. “He is no longer a hero for me, but a hypocritical tyrant!” young Bolivar said then, surprised at how one’s popularity might influence the mood in society. Simon Bolivar moved to North America, where he studied the mechanism of government that had developed there after the Revolutionary War. Thus, having formed the basic principles for him, Bolivar returned to Karakas and, at age 24, began to put them in practice. “I swear, I will not allow my arm to rest until we have broken the chains of Spanish slavery,” - he said. Here it should be noted that despite the high blood Bolivar was Creole, that is, a Spaniard born in the colonial world. And in South America at that time, even rich Creoles had no right to occupy important governmental and military posts. The colonial authorities appointed to such high office only natives of Spain. However, this did not prevent Simon Bolivar, being only 27 years old, to lead the largest protest in the South American colonies in 1810. He was one of the few familiar with military art and he was regarded as the foremost authority. After the first three years of the war that was going on with varying success, his unit came in triumph to Caracas. Popular among common people and Creole aristocracy, Bolivar was given the title of the Liberator of Venezuela and he took charge of the Second Venezuelan Republic. However, the victories were followed by a defeat, and the leader had to seek refuge in Jamaica. There he published an open letter, which became the policy document of the war of Spanish colonies for their independence, as well as a kind of prototype of the modern constitutions of several countries in Latin America. In his “Letter from Jamaica,” he was talking about the huge changes that have actually occurred in America after the expulsion of the Spaniards: formation of the Latin American republics, union of New Granada and Venezuela in the Republic of Colombia, and digging of the Panama Canal. Bolivar called for unity. According to his plan, they should form the Southern United States (Sur de EstadosUnidos). 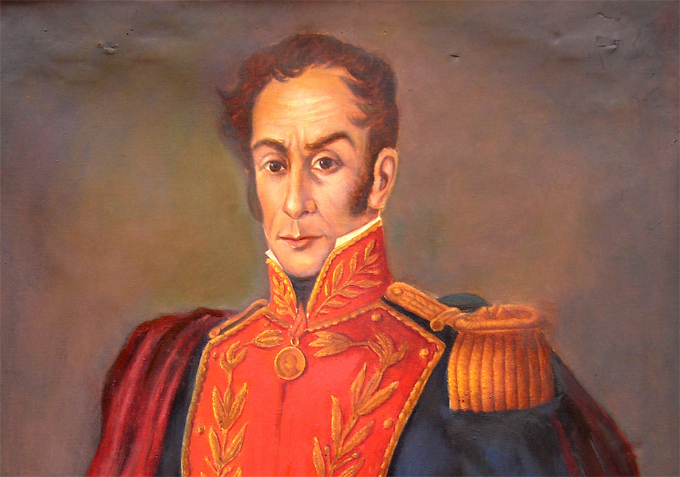 After the final defeat of the Spanish forces in South America, the Peruvian Congress appointed Bolivar as Dictator with unlimited military and civil authorities. In this case, the general was so popular among the population, that Upper Peru was renamed as the Republic of Bolivia in his honour in 1825. A friend of Simon, also the legendary revolutionary and known Cuban writer and poet, Jose Marti, wrote about him: “He lived like in flame, and the flame was himself.” The heat from the Bolivar’s flame, as we see, is still warming people. Unfortunately, the ambitious plans of the Liberator of America were not fulfilled because of internal political intrigues. The Panama Congress, convened in 1826 at the initiative of Bolivar himself, did not approve the idea of unification. Despite 15 years of heroic service and 472 battles, Simon Bolivar’s supporters accused him of trying to establish a dictatorship. This undermined his strength. He resigned and was about to go into self-imposed exile in Europe but a fast disease did not let him leave the country. After the death of the general, his cult has reached unprecedented level. Some even joke that Latinos are sick of very original ailment that is called Bolivar mania. His personality is the subject of hundreds of historical and fiction works. No other Latin American hero is so much written about. Perhaps, the only other revolutionary who can compare to him is Che Guevara. All subsequent presidents of the country admired Bolivar and even made reference to his political beliefs to justify their dictatorial policies. The Venezuelan leader went even further - during the sessions of the Council of Ministers, Hugo Chavez leaves one empty seat - in case Bolivar takes part in the meeting. And no doubt, Chavez is popular as a leader in Latin American countries largely due to the personality of the first Venezuelan president. One of the most important places in his public activities belongs to Simon Bolivar. After coming to power in 1999, Chavez insisted that the Parliament changed the country’s name to the Bolivarian Republic of Venezuela. The cult of Bolivar and his ideas are spreading in the world. Of course, this is due to the active foreign policy of Venezuelan politicians started by Hugo Chavez. The “Bolivarian” culture has also found its reflection in the Russian capital. The Simon Bolivar Cultural Centre was opened in Moscow in 2007. It hosts events with the participation of representatives of the various states in the region, exhibitions, concerts, and readings. Within its walls they implement programs that allow you to get an idea of Latin American nations on the basis of the Bolivarian thought. Now it is difficult to imagine modern Venezuela without honouring the national hero. The immense love of people can subside over time. However, no one doubts that Latin America is a special world that is different from everything else, which is a mix of cultures of different races and ethical groups. Many thinkers, including Western ones, who were speaking on the idea of civilizational identity of the Latin American countries, were the most likely repeating and interpreting what had been first said by Simon Bolivar and what he had been fighting for many years. So Bolivarian spirit will fuel the minds of Latin American leaders and inspire freedom-loving peoples for centuries.